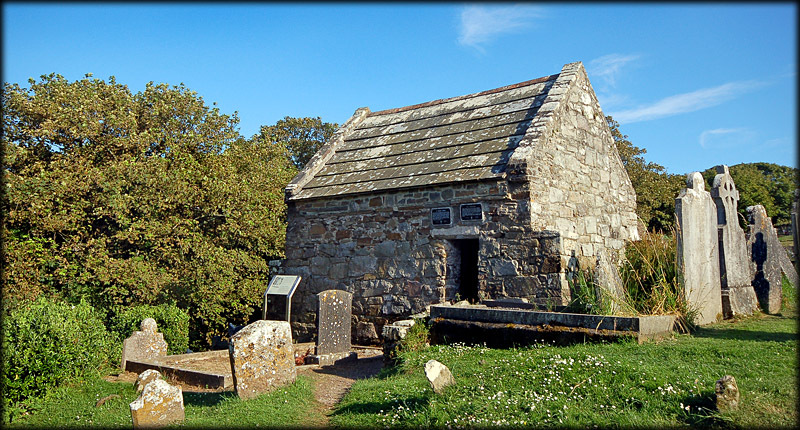 Known locally as 'The Beannachan' this small oratory is believed to have been built over the burial site of St Declan. It is similar to other tomb shrines built around this period. Sadly there was no access on our visit as the metal gate was locked. A flagstone that covered the saint's grave has long gone, probably due to relic-collecting. A hollow in the south-east corner is now pointed out as the grave. 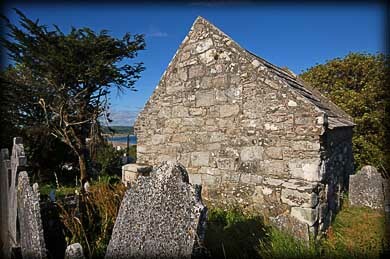 The oratory dates to around the 8th century with later renovations to the upper walls. It was re-roofed in 1716. 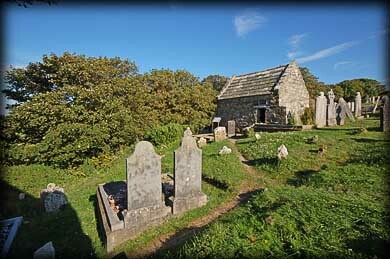 Other similar examples of tomb-shrines include Temple Ciarán, Clonmacnoise and The Priest's House, Glendalough. 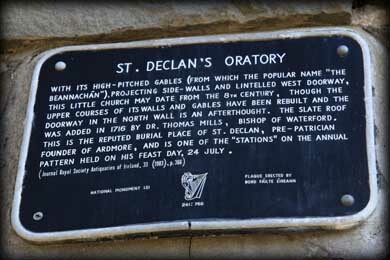 St. Declan (aka Declán mac Eircc, Betha Decclain) is presented as one of the four pre-Patrician saints of Munster. Through his father Eircc, Declán was of noble blood and belonged to the royal dynasty of the Déisi Muman. The saint traveled to Rome on numerous occasions where he was ordained a Bishop by the Pope. He is remembered for converting the Déisi and for having founded the Monastery at Ardmore, County Waterford, where he became first Bishop of Ardmore. The episcopal see of Ardmore was confirmed by St Patrick at a synod at Cashel in 448. Many pilgrims, paupers and even beggars would flock to Ardmore to see him. Sometimes he would retire to the small hermitage known as Temple Dysert. Situated: Very Easy. Just walk around to the back of the Cathedral at Ardmore. A track leads you to the Oratory. Discovery Map 82: X 1897 7741. Last visit July 2011.